There is a lot of mystery regarding the current President, and his real identity: is he really an American born citizen or not? Is he a Christian? A Muslim? A Marxist Socialist? “In the aftermath of Obama's unsolicited, controversial dictates over the Ground Zero Mosque [GZM] debate, White House image-makers are now trying to convince the public he is a devout Christian. Specific to that point, he may not be a Muslim, but I'm convinced he isn't a Christian, either. “A true Christian, i.e., a born-again believer, is a person who has put his faith and trust in the person and work of Jesus Christ – including His sacrificial death on the cross as propitiation/payment for our sins, His crucifixion and resurrection and the understanding that this same Jesus will, at a time appointed return to gather unto Himself His own. “Simply believing there is a God or "god" doesn't make one a Christian. The New Testament tells us, in James 2:19, that the very "demons also believe and tremble." In the Book of Job we have record of God addressing Satan (Job 1:6-12). Ergo, if Satan and the demons are acknowledged as knowing God exists from first-person experience – just believing there is a God simply places a person among a legion of not so pleasant beings. “My point being – prayer and belief sans confession, repentance and acceptance of Christ in one's heart is hot air. Being a "good person" doesn't make one a Christian either, nor does being an outwardly religious person. Being a Christian, devout or otherwise, is more than that – it’s placing our [immortal souls] in the hands of One we have not seen, based on a faith that many scorn (John 3:1-21, Ephesians 2:8-10, Romans 3:21-28, Hebrews 11:1-3). “Scriptures tell us that by our works we shall be known (Matthew 7:15-20). Where is Obama's fruit? I think it can be reasonably argued that, if he were a Christian following after Jesus, there would be no questions about his faith. If his actions were Christ-like, people wouldn't question whether or not he is a Muslim. “This isn't about color or race [NOTE: Mr. Massie is a black gentleman]. There are many persons of color in very public capacities that do not have these questions swirling around them. “If Obama had spent 20 years under a truly God-fearing, Bible-preaching, Christ-filled pastor, would we today have these questions? Obviously, we cannot say with absolute certainty that wouldn't be the case – but I submit the chances greatly favor that we wouldn't. “A true Christian is more concerned about the eternal benefits of service than about endorsing behaviors and teachings that are antithetical to the God of Scripture. God doesn't care what color a person is, nor whether you are a man, woman or child – He cares that we accept His Son, lead others to Him, and live Christ-centered lives that make others want to be like "that" which they see in us. As Mr. Massie stated, you will know a person’s genuine spiritual life by the kind of fruit they bear. Christians place the highest value in prayer, both private and public, and every where in scripture we are admonished to engage in this vital ministry. How many remember when Barak Hussein Obama cancelled the National Day of Prayer? True this is a function that’s been inundated with all sorts of religious people, not just Christians; but the very act of canceling something that’s been a part of the tradition in D.C. since the days of Truman, who inaugurated it in 1952, and reached its zenith under the presidency of Ronald Reagan, was brought to a screeching halt by Obama, not in proclamation but in practice. Nixing National Day of Prayer? The decision was made by Wisconsin U.S. District Judge Barbara Crabb that the National Day of Prayer is unconstitutional. She ruled that it violates the First Amendment's ban against a law respecting an establishment of religion. That's not what's done in this National Day of Prayer Proclamation. Here, we are again just signifying and looking back on our history, respecting our history of the founding of the Judeo-Christian country. It’s a simple statement of fact that no where in the Quran does it declare Allah’s love for any one, nor does it encourage the Muslim to love others, much less one’s enemies. (Where can it be shown in all the annals of history, where Islam was the predominant force, that others were treated with dignity and respect? A Muslim could say, and rightly so, where can it be shown in history that those Christians during the Crusades treated others with dignity and respect? Such as took up the martial banner in the Name of Christ, at the command of certain Popes to slay Jew, and Muslim, and any others who would not swear allegiance to the ‘Most Holy Mother Church’ did so, not in obedience to the commands of Christ in scripture, but at the command of Popes who were, just as much as the religion they headed, horribly wicked and corrupt. “These rituals remind us of the principles that we hold in common, and Islam’s role in advancing justice, progress, TOLERANCE, and the dignity of all human beings. Ramadan is a celebration of a faith known for great diversity and RACIAL EQUALITY. And here in the United States, Ramadan is a reminder that Islam has ALWAYS BEEN A PART OF AMERICA and that American Muslims have made extraordinary contributions to our country. And today, I want to extend my best wishes to the 1.5 billion Muslims around the world – and your families and friends – as you welcome the beginning of Ramadan. A faith known for “racial equality”?? I’ve read Joan Peter’s book FROM TIME IMMEMORIAL and according to this former pro-Palestinian reporter and writer, the suffering and oppression that Jews endured in various Islamic nations (long before Nazi Germany) was appalling, and yet they were refused in their requests to leave those nations, with the exception of a few that had to pay virtually all they had just to escape with their lives! When Jews were released en masse, it was parallel to the events of Israeli victory in its wars with Islamic forces. Two articles we’ve done on The RED PILL Consortium are based on this book: While the information contained in this book is excellent, it is also heart breaking and at times difficult to read. Should you wish to obtain your own copy, the book (after being discontinued for nearly 2 decades) is available once again! and check on “products” and type in book title. ”Islam has always been a part of our country”?? Its true that Muslims have populated our land since the mid 18th century, but as individuals and families, not as a incumbant institution that was integral to the embodiment of America. Yet in almost the same breath we heard from Obama that America is not a Christian nation. 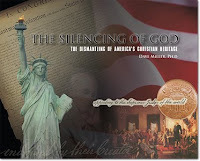 I would challenge the reader to investigate the preamble of the constitutions of all fifty states and determine for themselves whether or not America is (or at least was in its foundation) a Christian nation, not a Hindu nation, or a Buddhist, or a Deist, etc.
" . . . my intention was simply to let people know what I thought. Which was that in this country we treat everybody equally and in accordance with the law, regardless of race, regardless of religion." "That includes the right to build a place of worship and a community center on private property in lower Manhattan, in accordance with local laws and ordinances," he said. "This is America, and our commitment to religious freedom must be unshakable." Does this commitment include biblical Christianity? Or has a double standard persisted in our nation in these days? It would be interesting to know, who exactly was it, that sold this property to the Muslims who are intent on this purpose! "The proposed 'Cordoba House' overlooking the World Trade Center site – where a group of jihadists killed over 3000 Americans and destroyed one of our most famous landmarks - is a test of the timidity, passivity and historic ignorance of American elites. For example, most of them don’t understand that “Cordoba House” is a deliberately insulting term. This concludes this 2nd segment of ENGAGING ISLAM and the MUSLIM Agenda. In the next and final segment we shall venture into the Muslim’s mind set, what makes some of these Muslims tick; we shall see some interactions between Muslims and Christians from ACTS 17 APOLOGETICS, and a blog article with commentary about this encounter (ANSWERING MUSLIMS.com). A series of video clips shall follow and finally how we as Christians are to respond to the enormity of this situation. Until then: Go in the grace and the peace of God which is afforded to us by NONE OTHER than the LORD Jesus Christ, Who shall reign forever and EVER! AMEN!! Read more! We need to know that the root word of Islam is "al-silm" which means "submission" or "surrender." It is not derived from the word “Salam” which means ‘peace’, as Muslims will have you believe. It makes it far clearer when one understands that by peace, the Muslim means that once the world is submitted to Allah, then, and only then, will there be peace! Until that Day, Islam must be engaged in the great struggle or ‘jihad’. *In this article we are going to look at a brief history of Islam, its belief system, the current propagation of this religion (the fasted growing religion in the US and Europe, both by means of converts and rapid birth rates within existing Muslim families) throughout the world by means of “jihad” or literally jahada meaning “struggle” but connotatively referring to ‘war’. ~ ~ end of update. Also we will examine how Islam is impacting America: from a Muslim-friendly President in the White House (who for all appearances, is a Muslim himself to one degree or another); to powerful Islamic communities within our borders, such as in Dearborn, Michigan with populations of Muslims that are entirely intolerant of anything non-Islamic; and a potential Islamic facility to include a GROUND ZERO Mosque [GZM (among other things)], at the location of the terrorist-destroyed World Trade Center (which doesn’t necessarily limit those culpable to Muslims alone by the way- look for “Loose Change” on youtube). As Americans how are we to respond to this formidable force in our nation? Even more importantly, how as Christians are we to respond to an ever increasing threat that will brook no alternative religious beliefs? IT IS IMPERATIVE that the information produced in this article, and any web links associated with it, does not incite a hatred or belligerence against Muslims. The LORD Jesus Christ commanded us to love our enemies, and this certainly includes Muslims (who would count us as their enemies if we would not submit to their Allah and convert to Islam). If we have Muslim friends or interaction with Muslims, we should earnestly pray for their salvation, lovingly offer them the Gospel, firmly but gently challenge their beliefs, while maintaining that our own are contrary to theirs, but always in a manner that is honoring to the LORD. In light of this, some web sites and good resource materials in the way of books shall be listed at the end of this article. We shall prayerfully engage this subject and seek wisdom from the LORD for the answers to a Christ-honoring response to Islam! by Grady L. Davis, M. Div., Ph.D.
“The Arabic word for recite’ is Qur’an, meaning the reciting or the reading. Thus, the Qur’an, is the “reciting” of “revelations” given to Mohammad, [lasting] over a period of 22 years . . . Encouraged by his wife, he began to preach in the streets and market places of Mecca. Mohammad never claimed to be divine, but insisted that Allah had called him to be a prophet. “Mohammad hated the idolatry and the immorality of the Arabs who lived in Mecca or came there to trade their goods. He was met with bitter opposition, but for many years his influential uncle, Abu Talib, was able to protect him. “When both Khadija and Abu Talib died in 620 CE, plots were hatched to kill Mohammad and his followers. Finally, on July 16, 622, Mohammad was forced to flee to Medina, a friendlier city to the north. This flight, called the hegira, marks the beginning of Islam. The Muslim calendar starts with this date, and the years are counted from ‘A.H.’ meaning ‘the year of the hegira.’ Medina, which is the city’s current name, was first named Madinat an Nabi (City of the Prophet), in honor of Mohammad. Mohammad became the religious and political leader of the city. 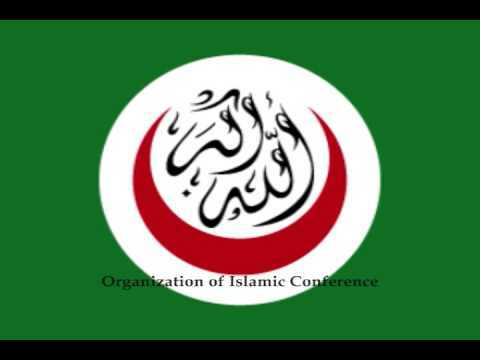 “Soon the Meccans organized an army to destroy Mohammad and his followers. The fighting ended in 630 with Islam forces triumphant. Mohammad entered Mecca. He destroyed every idol in the Kaaba, the main temple, except the Black Stone, a sacred meteorite enshrined there. “Mohammad then declared the Kaaba to be the most holy shrine in Islam. Since that time it has been the spot toward which all devout Muslims direct their prayers. “During the next two years, Mohammad strengthened his position as the leading prophet and ruler of Arabia. He united the tribes into a vast army to conquer the world for Allah. His death in 632 A.D. did not lessen the fervor of his followers. They carried their faith across Asia, Africa, even into Europe—and to this day the growth of Islam has not ended. The Shahada is the Islamic proclamation that "There is no true God except Allah and Muhammad is the Messenger of Allah." This is the confession that Allah is the one and only true God, that Allah alone is worthy of worship, that Allah alone is the sovereign lord who does what he wills with whoever he wills. It means that all his rules and laws found in the Quran are to be followed. It means that the Christian doctrine of God as a Trinity is false as are all other belief systems including pantheism. Muhammad is the true and greatest prophet of Allah and recognition of Muhammad as the Prophet of God is required. It was through Muhammad that Allah conveyed the last and final revelation. Prayer involves confession of sins which begins with the purification of the body and ends with the purification of the soul. Prayer is performed five times a day. The first prayer is at dawn and the last at sunset. The names of the prayers are Fajr, Dhuhr, Asr, Maghrib, Isha. The Maghrib prayer is the sunset prayer. Isha is the prayer that is said after sunset. There is also a prayer that is said right after Fajr known as Shurooq. The month of Ramadan is the month of fasting in Islam. It is an act of worship where the faithful follower denies his own needs and seeks Allah. Usually, this fasting entails no drinking, eating, or sexual relations during the daylight hours for the entire month of Ramadan. Charity given to the poor. It benefits the poor and it helps the giver by moving him towards more holiness and submission to Allah. Alms-giving is considered a form of worship to God. • Monotheism: There is no other god than the one god Allah. • Angels: Among the angels, Gabriel appeared to Muhammad from heaven with the words of the Quran. • Prophets: There are many prophets, including Jesus but Muhammad is the last [and greatest] prophet. • Scriptures: The Quran is the infallible, inerrant scripture revealed to Muhammad. The Torah and the Gospel were revealed to Moses and Jesus as inerrant in their times but they have become corrupt. • Paradise and hell: Distinctly different eternal destinies await the blessed and the damned. Orthodox Islam accepts these beliefs with little wriggle room. Popular or folk Islam holds broadly to these beliefs but allows accretions to them. But no Muslim would deny what the Quran tells them to believe, namely, the substance of the above beliefs. - Source: What You Need to Know About Islam & Muslims (link directly below) By George W. Braswell, Jr. Broadman & Holman Publishers, Nashville, Tennessee. 2000. Where Can I Buy What You Need To Know About Islam? DIFFERENT NAMES – SAME GOD? God — The Quran asserts that the god of Islam is the God of Christians and Jews (Sura 29:46). Nothing could be farther from the truth. Allah is capricious (Sura 2:284), [that is, unpredictable] whereas the true God is [One Who declares His Word and binds Himself to it with covenants and promises]. And Allah is NEVER anywhere presented as a god of love — which is the essence of the nature of the true God (emphasis mine; 1 John 4:7-16). Jesus — The Quran denies point blank that Jesus was the Son of God (Sura 112:2-3). It also denies His atoning sacrifice by claiming that he never died (Sura 4:157). A substitute died for Him on the Cross. Jesus was translated to Heaven, like Enoch, where He will remain until He returns to kill all pigs, destroy all crosses, and convert the world to Islam. Jesus will marry, reign for 40 years and then die and be buried next to Muhammad in Medina. Jesus is characterized in the Quran as nothing more than “an apostle of Allah” (Sura 4:171). - Source: The Truth About Islam Dr. David R. Reagan from Lamb and Lion Ministries. We already saw how Islam spread in its infancy and early history; now we can look at where and how Islam is spreading today. Included here is a web site that tracks Islamic activity the world over, including here in America. Islam claims to be the last and greatest revelation from Allah, and that this revelation was truly given at the first, to Adam and his descendents; Islam claims that not only Adam but also Noah, Abraham, Moses, King David, and even Jesus were Muslim! Further, its considered fundamental Islamic teaching that all human beings are actually BORN MUSLIM in spirit, but that this spirit is marred and altered by the (false) teachings of the parents (be they Christian, Jewish, Hindu, etc). Thus if in fact, Islam is the last revelation of Allah, then it replaces all previous revelations (which Islam claims have been corrupted, particularly the Book, or the Holy Bible). This is the reason why fundamental Islam CANNOT co-exist peaceably with Judaism and Christianity, simply because these systems of belief have been made (in their view) obsolete, and it’s the duty of the Muslim to convert them from such corrupted, out-dated belief systems, while at the same time, honoring their prophets (Moses, David, Isaiah, John the Baptist, Jesus) because they were of course, Muslim! Islam perceives Judaism and Christianity as perversions of the original intent of their Islamic founders, primarily Moses and Jesus and is therefore engaged in a RESTORATION movement, bringing Jews and Christians back to the one true faith. Islam claims that Jesus in fact, in corroboration with Moses (who predicted that “the LORD would raise up another prophet, like unto me” Deut. 18:15) prophesied the coming of “Ahmed” or Mohammad, and they commonly use this as a proof text to support their view that Islam supercedes Christianity. Thus, if there are prophecies of Mohammad found in the Bible (in both Old and New Testaments), then these are very good reasons for Jews and Christians to drop their [distinctions] and divisions and become Muslims. In the Islamic view of Christianity then, we have seen the following. 1) Islam is the original religion; it is the primordial religion, the religion of Adam, Abraham, Moses, and Jesus. In addition, all humans are born Muslims. 2) God has sent prophets throughout time to all the nations — prophets such as Abraham, Moses and Jesus. He has not only spoken through those prophets but given them books (e.g. the Torah and the Gospel). But their missions were limited, and their books were incomplete and later corrupted. 3) Mohammad is the final prophet foretold in the Bible, and his book, the Qur’an, is perfect, complete and incorruptible. Islam is the only valid Faith. Because of the finality of Mohammad’s prophet-hood, combined with the completion of God’s revelation in the Qur’an, orthodox Muslims reject any new claims to divine revelation or religious succession beyond Islam. This is the Islamic evangelistic mind set. This concludes this segment of the article, ENGAGING ISLAM and the MUSLIM Agenda. There will be two more segments, in which we will look at some current events regarding our present Executive Administration, controversial perspectives of the same, as well as Islamic ‘hot spots’ in our nation where Sharia Law (in some cases) is practically a fact of life! This and more to come in the following segments (2 and 3). God bless and keep you all, in the most Holy Name of Jesus Christ our LORD, to Whom every knee will bow and every tongue confess that He is LORD, to the glory of God the Father! Amen! Read more! ARE YOU SEARCHING FOR ABSOLUTE TRUTH? Through prophecy, the Bible authenticates that it alone transcends time and space. No other book dares to establish its credibility by telling the future in advance. The Bible is 100% accurate and prophecy proves it. So what are these signs that Jesus was talking about? The Bible lays out mankind's destiny in the last days...ARE YOU PREPARED? "The earth is the LORD's, and the fulness thereof; the world, and they that dwell therein. Who is this King of glory? The LORD of hosts, he is the King of glory. Selah." 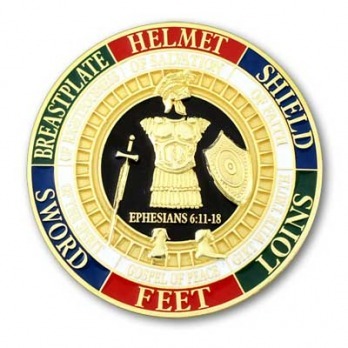 TAKE....The Whole Armour of God....WITHSTAND in the Evil Day...and STAND! 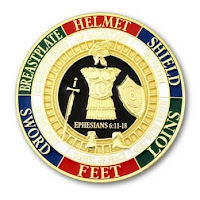 "Wherefore take unto you the whole armour of God, that ye may be able to withstand in the evil day, and having done all, to stand." What Is Ontology? ), or is it merely conceptual? 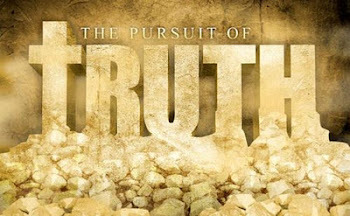 The IMPORTANCE of the NATURE of TRUTH –The nature of truth is important to the Christian faith. Christianity claims that there is absolute truth (even though a growing number of Christians polled deny this!) and that it corresponds to how things really are. In an age of lies, lies, and more lies, don't you think it's time we went back and found out what the truth is? David Barton is the Founder and President of WallBuilders, a national pro-family organization that presents America's forgotten history and heroes, with an emphasis on our moral, Christian and constitutional heritage. David Barton is one of the foremost authorities on the moral and Christian foundations of our nation's Constitution and history. David works to foster the political responsibility of the People of God through his website Wallbuilders, briefings in Washington, and the spiritual heritage tours he gives of the Capitol. His goal is to preserve and advance our nation's Christian foundations and to encourage our representatives in Congress to strive to live up to the vision our Founding Fathers had for those who occupy such high office. Exposing Error: Is it Biblical? There are many objections raised amongst believers today with regards to exposing error within the Church. Many claim it to be entirely negative, not biblical and of no real value. Such things are negative in the sense that they negates falsehoods; we shouldn't assume that if something is 'negative' that it is untrue or valueless. Warnings cover all sorts of roadways, machinery and appliances with negativities like "HAZARD: May cause electrocution" etc. but such warnings have their uses! However, I would challenge any whose attitude against such warnings or “negativities” to examine the New Testament since a large portion of the NT, including the teachings of our Lord (Rev. 2&3 for example) and writings of the apostles teach a great deal about false prophets, false teachings, Satan’s devices, and damnable heresies. Our Lord prophesied, "Many false prophets shall rise, and shall deceive many." Is that not true today? Unfortunately, within our own day, it seems the masses are not heeding the warning…they are not heeding the warning, because sound biblical doctrine is being ripped apart or taken completely out of the Church. The Bible warns us over and over not to harden our hearts, but to turn to Jesus. The wrath of God is inevitable and is seen throughout the scriptures from Genesis to Revelation. It is not merely enough to believe that God exists or that the Bible is His word to us, for even Satan believes. True salvation comes to the man who acts upon that knowledge and comes to repentance committing himself completely to the Lord. Is God willing that any should perish? Does He take some kind of sick pleasure in the death of the wicked? Absolutely not! The Bible repeatedly states that he is pleading with men to turn to Christ. The danger comes to those who wait. It is those who harden their hearts, who resist, who put off until another day. Those who will not give up their sin, this world, nor the things of this world, are in grave danger. For this heart is in danger of becoming seared like scar tissue that is thick and hard and insensitive to the voice of God, who gives heed to seducing spirits, and doctrines of devils. “Wherefore (as the Holy Ghost saith, Today if ye will hear his voice, (8) Harden not your hearts, as in the provocation, in the day of temptation in the wilderness: (9) When your fathers tempted me, proved me, and saw my works forty years. (10) Wherefore I was grieved with that generation, and said, They do alway err in their heart; and they have not known my ways. (11) So I sware in my wrath, They shall not enter into my rest. (12) Take heed, brethren, lest there be in any of you an evil heart of unbelief, in departing from the living God. (13) But exhort one another daily, while it is called To day; lest any of you be hardened through the deceitfulness of sin. (14) For we are made partakers of Christ, if we hold the beginning of our confidence stedfast unto the end; (15) While it is said, To day if ye will hear his voice, harden not your hearts, as in the provocation. (16) For some, when they had heard, did provoke: howbeit not all that came out of Egypt by Moses. (17) But with whom was he grieved forty years? was it not with them that had sinned, whose carcases fell in the wilderness? (18) And to whom sware he that they should not enter into his rest, but to them that believed not? (19) So we see that they could not enter in because of unbelief." D. L. Moody, the great evangelist, was preaching in Chicago on October 8, 1871. A biographer writes, "Before him was the largest congregation he had ever addressed in the city. He concluded with a blunder that he had called the biggest in his life, one which he vowed he would give his right hand to recall. He, D. L. Moody, gave them a week to decide for Christ" (Richard K. Curtis, They Called Him Mister Moody [Grand Rapids: Eerdmans, 1962], p. 150). That night the great Chicago fire broke out and many of the people who were there were killed. Moody said that was the last time he ever told anyone to postpone a decision for Christ. Many of today's so called "pastors" (or God's under shepherds) have basically written a new gospel, one that is socially accepted, entertaining, and tolerant of every religion…......DID I MENTION FALSE? Horrifying thought isn’t it? Yet isn’t this taking place in Churches across our country today? Not only has sound biblical teaching been replaced by liberal inclusiveness, but mainline denominations are now openly embracing social tolerance rather than Biblical Truth. Mainline Protestant denominations no longer call homosexuality a sin; many are ordaining gay clergy and performing homosexual marriages. The Evangelical churches have opened the doors wide to New Age mystics and Eastern Philosophies. They are openly practicing contemplative techniques, yoga, chanting, and other false worship practices. In England, the Anglican bishops actually voted to affirm the deity of Jesus Christ. The United Religions Initiative seek to unite the worlds faiths in a spirit of cooperation…..they are doing this by placing the gospel of Jesus Christ on the same level as every other religious belief in the world. Peace! Peace! Christians begging forgiveness of Islam? Cornerstone Festival - What has happen to Christian Music? 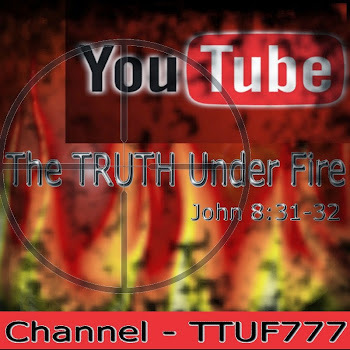 If it were not for those watchmen on the wall sounding the alarm and proclaiming the truth of God’s word….and warning the Church to beware of these damnable heresies, then surely many more souls would be led to eternal destruction. According to Ezekiel 33:6 God is holding them accountable to warn and they will be judged if they don't remain faithful to their office! How many false prophets have risen with perversions of the truth? How many false prophets stand at the pulpits of our churches? How many who claim Christianity are being deceived? 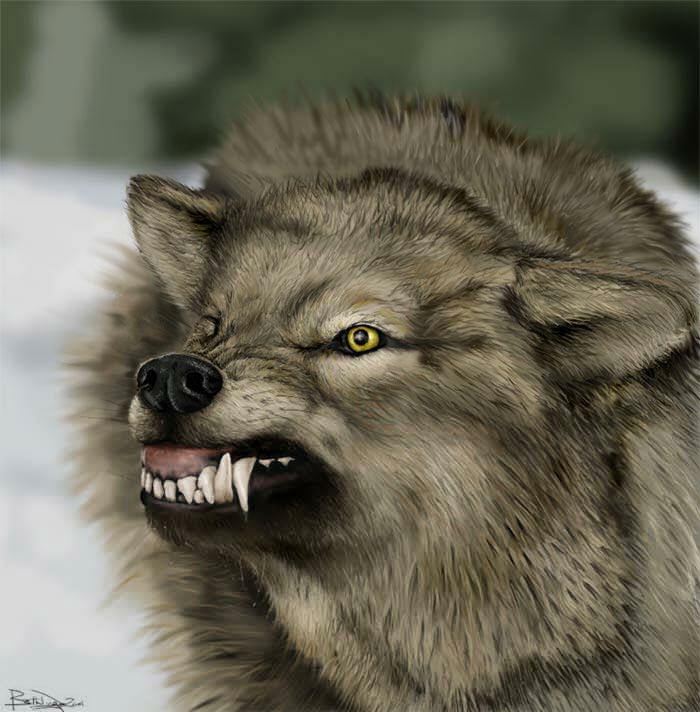 These grievous wolves that Paul warns us about are growing into packs of ravenous beasts who prey upon the flock of God. It matters not what church you attend, what denomination you prefer, Satan has only one purpose, and that is to devour God’s sheep. Oh Laodicea, the Lord will soon speak to you, for you are so sorely in need of judgment. 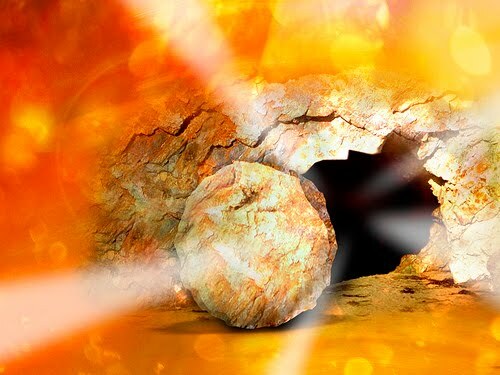 When the risen Lord will speak, it will be He who not only says, but is, the Truth. Though centuries have now passed from the beginning of the Church’s inception, the Church who was born looking for the return of the Lord looks no longer, for it is rare when one even mentions His return. Oh how your hearts once raced with excitement at His rending the clouds, but your eyes have turned away for your affections are elsewhere. For as the Bridegroom tarries, you have gone to sleep. Where is your passion for the Almighty? Where is your passion for Truth? If religion is worthy of anything, it is worth everything but your hearts are neither hot nor cold. By religion I am referring to the Christian walk, a belief in the being and perfections of God, in the revelation of his will to man, in man's obligation to obey his commands, in a state of reward and punishment, and in man's accountableness to God; and also true godliness or piety of life, with the practice of all moral duties. You have become indifferent in things that are most important and passionate over things of no value. Why do you seek pleasure from the world when God has offered so much more? Do you not know that judgment is coming? Are we not called to contend earnestly for the faith? What is the faith if not the whole body of revealed truth? Every system of teaching can be judged by their fundamental truths of the faith. Here’s the question, what do they think of Jesus Christ? The Bible makes clear who Jesus is, and every false way will deny Him in His authority, His deity, His equality with the Father, and the truth of His Word. Jesus claimed there was only One way…through Him. Error is error. Truth mixed with error is still error. “A little leaven leaventh the whole lump.” Galatians 5:9 C.H. Spurgeon said, "Discernment is not perceiving the difference between right and wrong, its perceiving the difference between right and almost right." Let us therefore fight the good fight of faith, as good soldiers, not cowardly deserters, as honorable soldiers, not compromising the faith. Exposing error is wildly unpopular work, but definitely worthwhile when one considers that we are not representatives of ourselves but of the kingdom of God, ambassadors for Christ…and to those souls who have become ensnared … it may mean everlasting life or death. Read more!